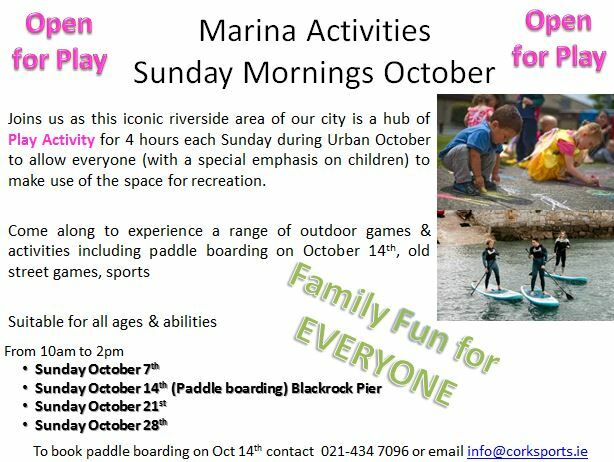 The Marina is Open for Play every Sunday in October from 10am to 2pm. Enjoy a car free experience in one of Cork’s most recreational and leisurely spaces. Suitable for all ages and abilities, ‘Open for Play’ is a partnership between Cork Healthy Cities, Cork City Council, Public Participation Network, Learning Cities, Cork Cycling Campaign, Blackrock Playground Group and the residents of Blackrock. Cork Healthy Cities involvement in the URBACT funded Playful Paradigm has supported the incorporation of Play Streets and the Marina is the ideal space to test this project. 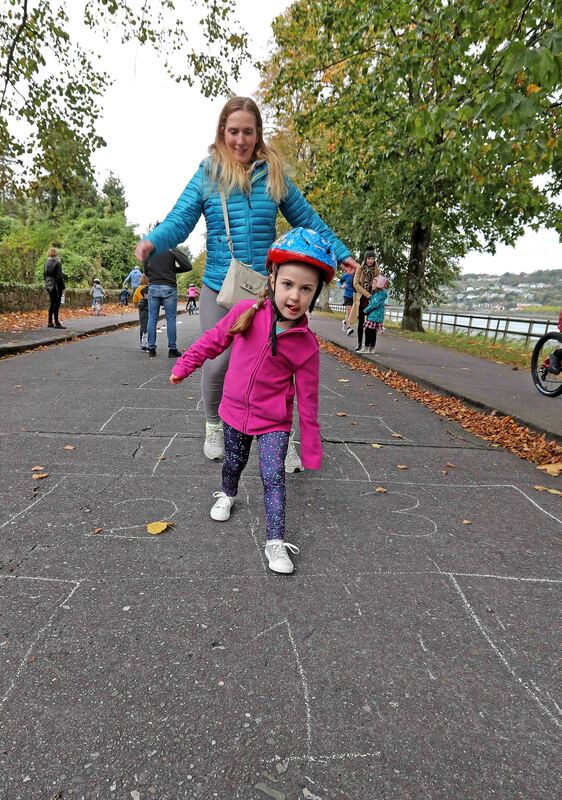 Pictured Pamela and Orla Creedon, from Carrigtwohill, enjoying the Hopscotch, during Urban October, Life In the City, Open for Play event to encourage the playing of Old Street Games (Tug of War, Hopscotch etc. ), in association with Cork City Council, Healthy Cities, Cork Sports Partnership, Cork Cycling Campaign and with the support of local residents, on the Marina, Cork. 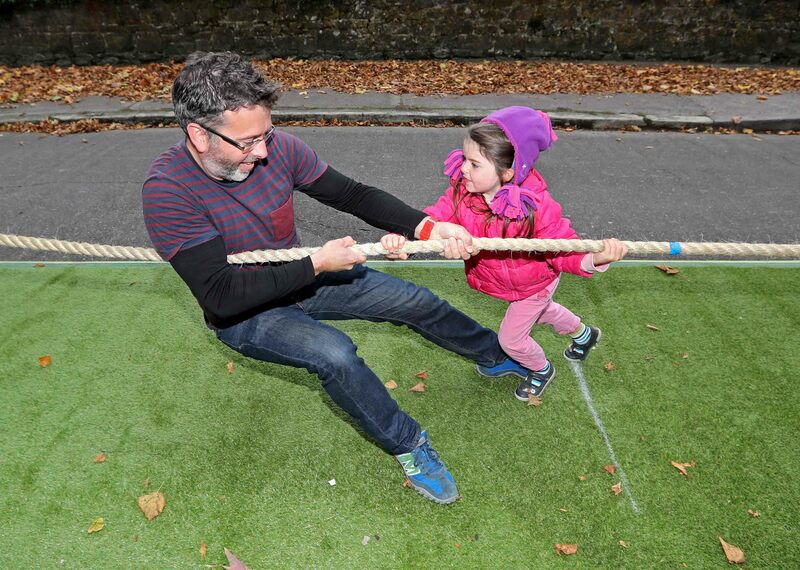 Pictured working hard during the Tug of War are, Conor and Ella Lane, Silver Springs, at the Urban October, Life In the City, Open for Play event to encourage the playing of Old Street Games (Tug of War, Hopscotch etc. ), in association with Cork City Council, Healthy Cities, Cork Sports Partnership, Cork Cycling Campaign and with the support of local residents, on the Marina, Cork.